Melissa was amazing! She was professional, timely, organized, and so compassionate. Her passion for her work was evident in everything she did. We got SO many compliments from guests on our centerpieces and floral arrangements. She helped us pick everything down to the last details and made sure that everything was on time. Her prices were very fair and reasonable and she was not over-charging for anything. We would recommend her over and over again!! 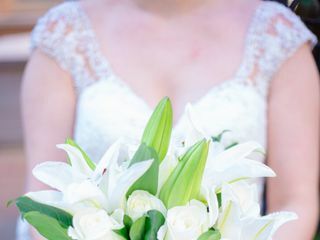 If you’re looking for a florist for your wedding day, please look no further than Melissa. We can’t say enough great things about our experience with her from start to finish. 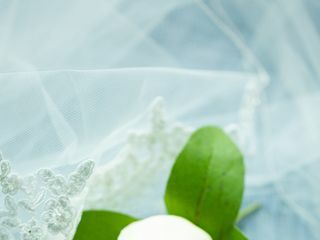 We initially met with Melissa and had no idea what we wanted (imagine that, a bride that has no clue what she wants!) our floral arrangements to look like. Melissa’s dedication and experience in this industry helped us decide on some of the most unique floral centerpieces we had no idea even existed in just a short hour at our meeting. 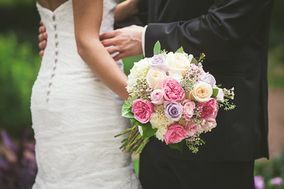 We met with other florists, but kept landing back on Mimi Eden Florals because Melissa seemed to know exactly what we had no idea we even wanted and was so professional but kind in our initial meeting and every communication thereafter. We got so many compliments on our tulip wrapped spherical centerpieces and I can’t say enough about how gorgeous and perfect my cascading bridal bouquet was. I was blown away when I saw it. Melissa knows her flowers and how to mix colors well, and will help guide you to floral decor that will be unique to you and your venue. 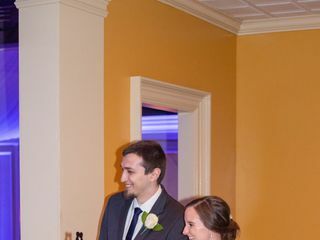 She and her husband also constructed a beautiful wooden arbor to decorate in floral arrangements and fabric for the backdrop to our ceremony that we didn’t see until we walked down the aisle, but it blew us away. Thank you so much Melissa! You were excellent, professional, kind, and overall such a pleasure to work with. Melissa with Mimi Eden Florals was wonderful to work with! 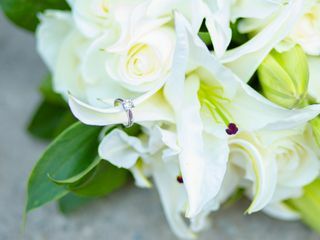 She was friendly, listened to what we'd like, accommodating to our budget, and the flowers were absolutely gorgeous! Melissa is simply amazing! I really wasn't sure what I wanted for our wedding day and when I explained my vision, she knew the exact flowers and style I wanted. Not only was she able to help with the right kinds of flowers, she also did such an amazing job with our centerpieces and came the morning of our wedding to set them up! Melissa is an amazing florist and very affordable. The flowers were everything I had wished for and more! They were just simply beautiful! Melissa was the most amazing florist I could ever ask for! she had a lot of suggestions when I was trying to decide on flowers. She also wasn't afraid to suggest flowers that were on the more affordable route (not trying to up sell me). She was very helpful through the entire process of planning and was quick to respond to any contact. On the day of she made the most beautiful flowers i have ever seen and they matched my vision exactly! Our flowers for our wedding were absolutely BEAUTIFUL!! We really felt that Melissa went above and beyond and would recommend her to anyone. She definitely nailed our vision and we were very pleased. You also cannot beat her cost. Highly, highly recommend! Melissa went above and beyond on my floral arrangements for my wedding. Our bouquets were absolutely breathtaking. I had a lot of guest at our wedding comment on beautiful the arrangements were. In fact I discovered Melissa through a wedding I attended, and as a guest i thought the exact same thing, the flowers were amazing, so I decided to also contact her. Melissa is easy to work with, she can bring you your vision within your budget, and she meets with you several times to see the venue to get a feel and make sure what you ordered is going to work for your space. 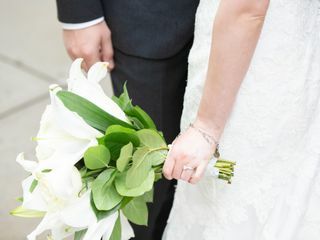 A+++ wedding florist, absolutely cannot say enough nice things about Melissa with Mimi Eden Floral Design. Melissa did a beautiful job for our October wedding in blowing rock. She met with me and helped me organize everything I wanted & suggested appropriate flowers for the time of year. She also designed a lovely head table flower box that her husband hand crafted. Every flower and centerpiece was exactly how I imagined our wedding & reception should look. 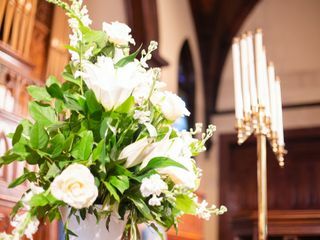 If you want elegant, gorgeous flowers and someone who listens and has the talent to make your vision a reality, contact Mimi Eden floral designs! Melissa was awesome. My favorite wedding vendor by far. I really didn't know what I wanted to do with my flowers for my wedding. Melissa actually said she loved when brides told her that so she could make it more hers. I told her what colors I wanted and the style of my wedding, and they couldn't have came out more perfect. Everyone talked about my flowers, even my other vendors. Definitely a steal! Melissa focuses solely on weddings! 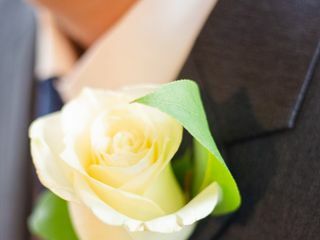 She loves to create wedding flowers exactly the way you them and won't rest until your happy. She will meet with you to help you create the look you are looking for and even delivers the flowers. Melissa was so sweet and enthusiastic every time we met with her. She was willing to be flexible and work with us until we knew what we wanted. Melissa is very up front and honest. I highly recommend Melissa to anyone looking for a caring florist. She does great work!